If you spent New Year’s Day on an early flight to Las Vegas, odds are you’re part of a public relations team headed for CES, the mecca of consumer electronics and tech trade shows. Your main objective? Draw attention to your client’s company via new product or acquisition announcement, stunt or other media grabber. No matter if you’re a veteran or a virgin, here are some tips to ensure you get at least some of the 7,000+ attending journalists to pay attention to your client. Make life easy for reporters at CES. A recent study shows that journalists receive more than 600 queries from PR firms. Standing out from the crowd should be as easy as knowing reporters’ beats and giving them story fodder they can use. But CES attendees also look to creature comforts as a potential draw. Start by acknowledging how tough their job is onsite and go out of your way to make things easy. Be flexible with times and locations and have information available and accessible including flash drives of press materials and images. Allow time for lots of demos, if appropriate and make key company spokespeople available at a moment’s notice. Know that you can still interest reporters once the show has started. Contrary to what some in PR believe – that you must have all your appointments booked in advance – reporters never finalize a schedule, there’s always room for adds if your invite is compelling enough. Savvy CES teams continually take the temperature of the show and the news climate in general to glean opportunities that can lead to increased interest in a client’s product or story. Keep your ear to the ground and leverage what’s going on in the world and your industry, to increase potential coverage. You can even pitch media once CES has ended. Think about it, many tech journos started receiving CES pitches in July! Ultimately the show itself hits, with endless inquiries from companies on-site. Then, it’s all over. Suddenly it’s quiet in tech land. Next week, you might consider taking advantage of the drought with a timely, feature-oriented pitch after all the hard news product launches. And the timing could be perfect. Remember the reporters who aren’t at CES. Some journalists avoid the entire extravaganza, for a number of reasons. Many say they can get all they need from the press releases issued before and during the show. Others say the jam-packed nature of the proceedings prevents anyone from getting a really substantive story. And still others claim much of what is unveiled is unremarkable. Intrepid PR teams will track down these non-attendees and pursue coverage with those who are relevant. Mashable has also traditionally provided a handy list of reporters who actually aren’t in Las Vegas this week. Get some onsite industry education. If by some miracle, you find yourself with downtime, try to attend relevant workshops or breakout sessions that can be helpful to you and your clients. One we think holds tremendous potential is the “Family Tech in the Age of Wearables” panel discussion featuring our client Wearsafe’s co-founder David Benoit. There are countless others and it pays to get to know the producers of these events for future invitations. You never know when they might have a speaker cancel and your client can ride in and save the day. 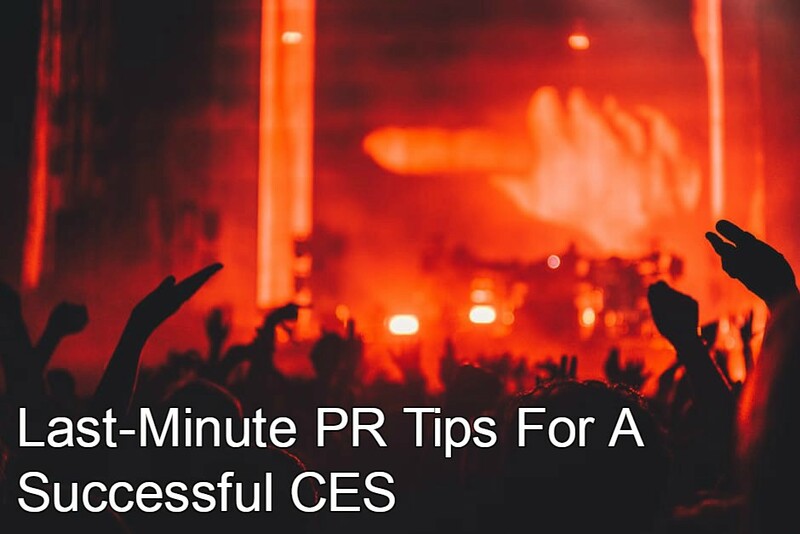 CES is filled with unexpected opportunities, so smart PRs can make the most of it.